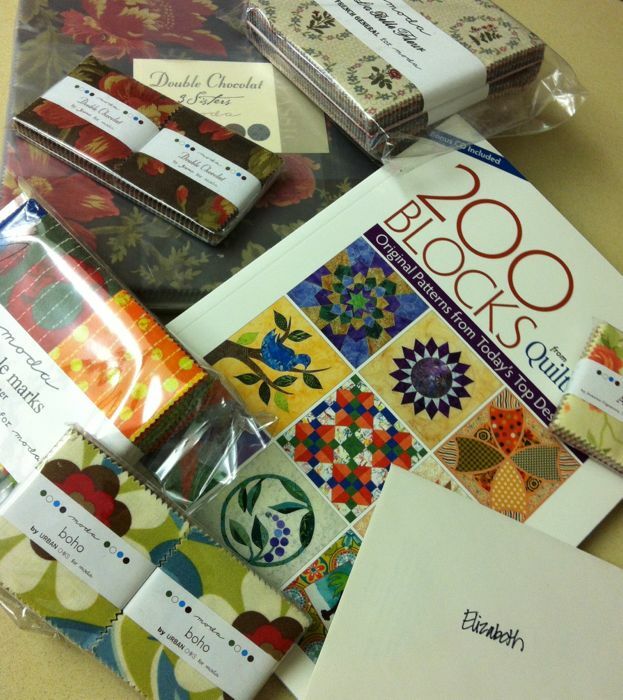 Posted on June 7, 2013 by Elizabeth E.
Like many of you, I’m a fabric geek–love the texture, the designs, love having a wide range of fabrics to choose from. 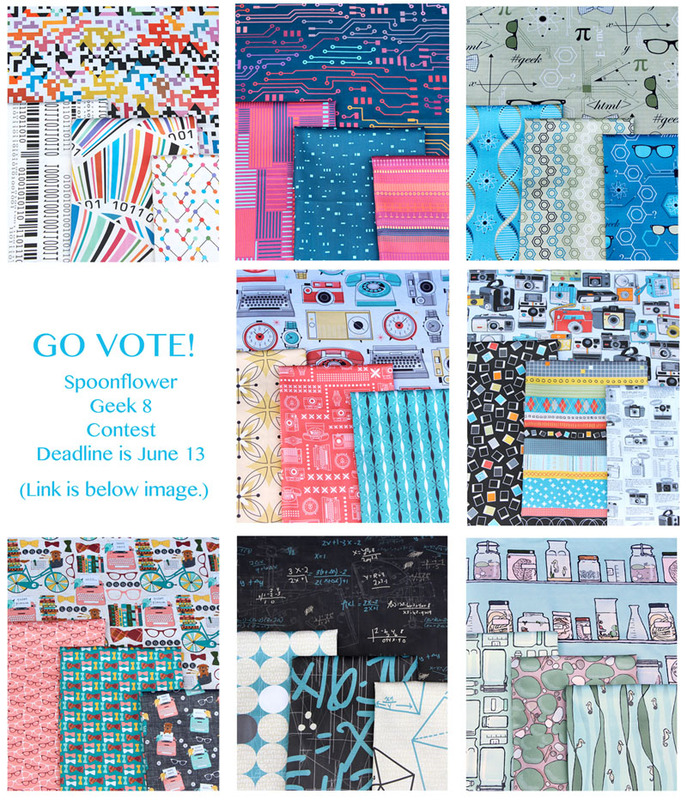 The theme of Spoonflower’s second annual Design 8 contest is “Geek Chic,” and the initial offering included all kinds of geekiness, including taped glasses, computer references, science allusions and designs–the whole range. I think these final few contestants have captured the full range of geek chic. 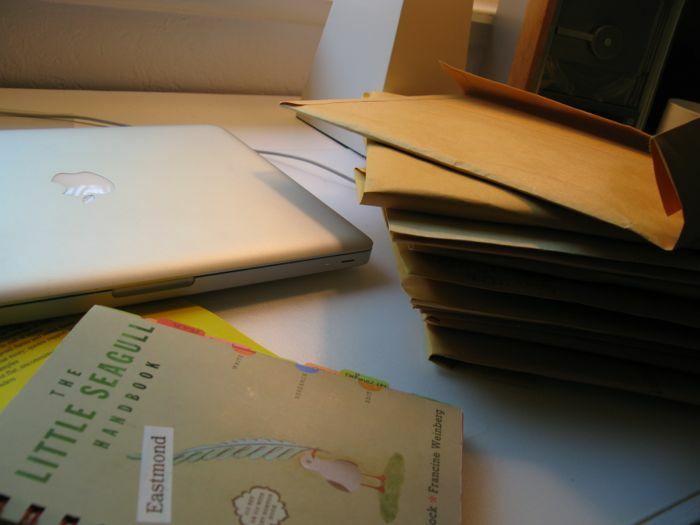 I loved reading their biographies, as they live all over the world, from Santa Monica to Toulouse, France, and while they all begin differently with their sketching, they all end up on the computer, making their designs. Three of my four favorites are in the top row, and the other fav is the middle of the bottom row, so I’ll have to think hard about which one to vote for. The contest voting closes next week, so hurry! Cast your vote! Posted on May 15, 2013 by Elizabeth E.
But! I will return, because I excel in Grading Avoidance–a skill not all possess, but my guess is if you are a college English Teacher, you probably do. GA, we call it around here. 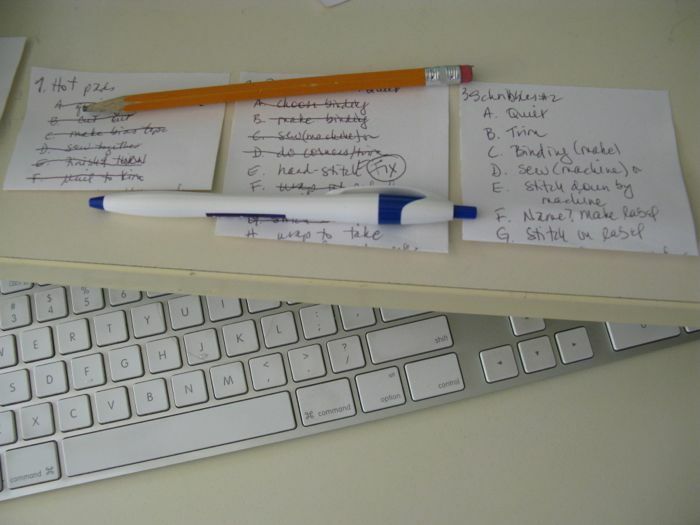 But I’ve been working on some things. 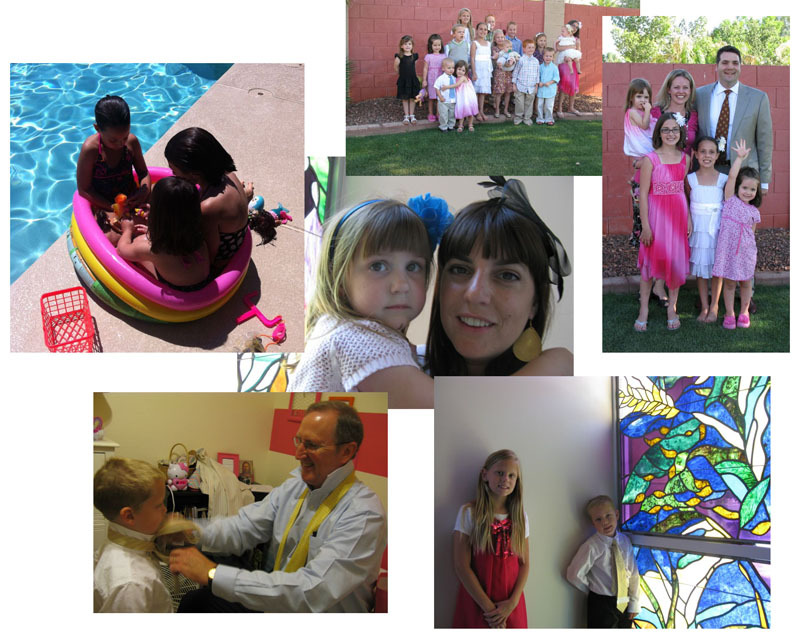 Like a visit to Arizona to see two of my children and their families over Mother’s Day Weekend. Grandchildren are the frosting on the cupcake of life, or so the sign in my kitchen proclaims, and my husband and I had a lot of fun, but came home tired. Mothering is a young woman’s game. 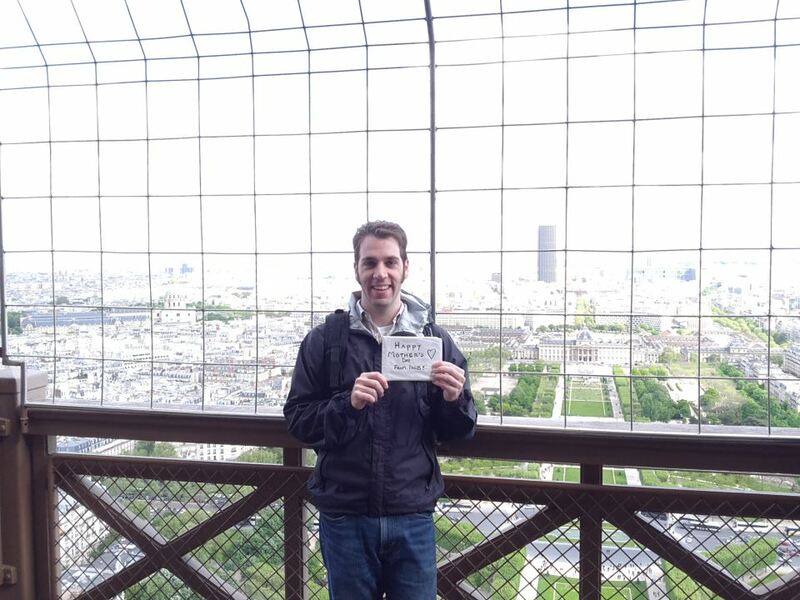 Received this greeting from another son and his wife on Mother’s Day, as they took a belated honeymoon trip to Paris, France. (I’m pretty sure he’s on the Eiffel Tower.) The card says, “Happy Mother’s Day from Paris.” Awwww. He’s a keeper. A bountiful harvest of Moda precuts from Avalon by Fig Tree, Simple Marks by Malka Dubrawsky, boho by Urban Chiks, Double Chocolate by 3Sisters, La Belle Fleur by French General, Maison De Garance by French General (those last two were layer cakes), 200 Blocks from Quiltmaker Magazine (a book), and a lovely hand-written note from Ms. Schnibble herself: Carrie Nelson. I was overwhelmed by her generosity and stunned that I even won at all! 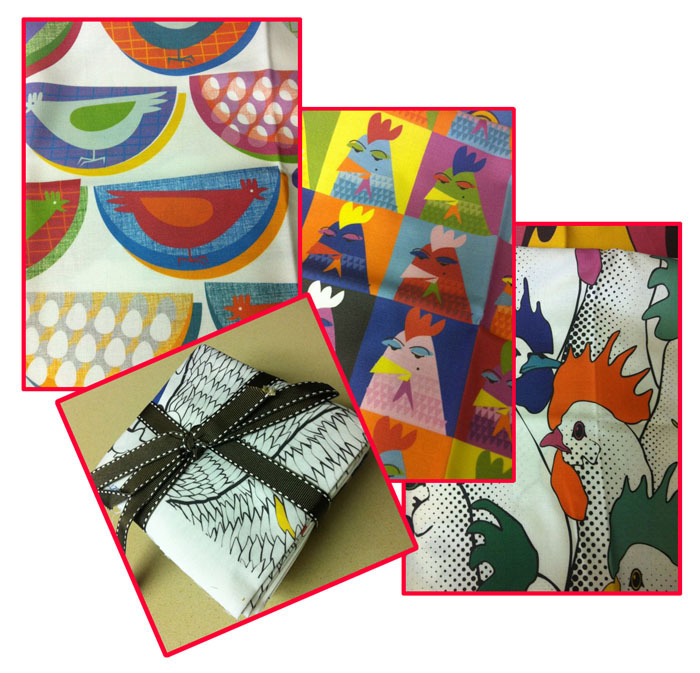 I have now lots of fun fabrics for lots of fun projects–all thanks to Miss Rosie’s Quilt Company. 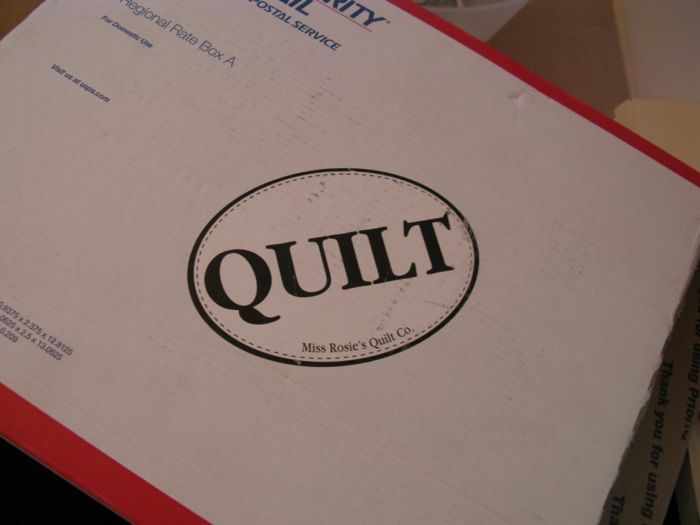 I feel richly blessed to be a part of the quilting community, as well you know, because I say it over and over and over. And even if I never win anything more again in my life (which is very likely), this one time, hey, I did.